DMIT or Dermatoglyphics Multiple Intelligence Test is based on the Theory of Multiple Intelligence proposed by world famous psychologist & authority in cognitive education Dr. Howard Gardner, PhD, Harvard University. The concept of Dermatoglyphics Multiple Intelligence Test is a amalgamation of Dermatoglyphics based inputs and statistical co-relation of the brain’s lobes with their respective intelligence based functions. 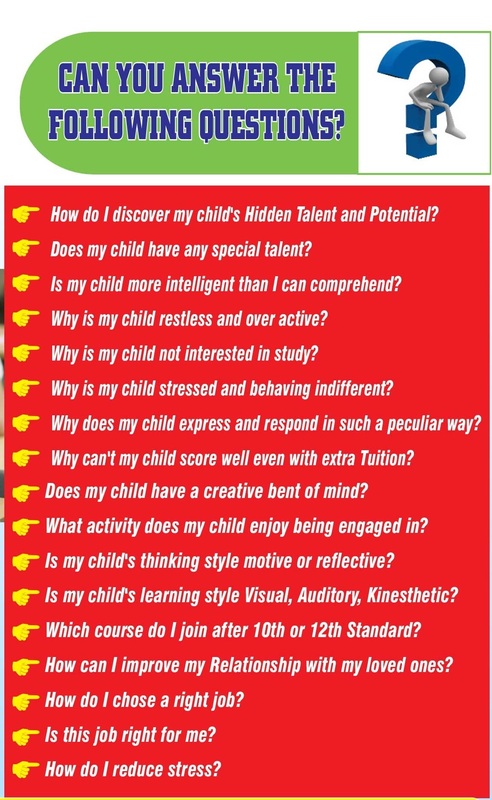 Shri Paramhans Education & Research Foundation Trust Dermatoglyphics Multiple Intelligence Test is designed to act as a guidance factor for pro-active parents who are inquisitively looking forward to identify subtle traits of their children to assist in proper planning of their child’s career. Personality can be traced early in the mother's womb, and it is reflected in fingerprints (Dermatoglyphics). Since each person's fingerprints are unique, we can understand one's innate potential, personality, and preferences by analyzing Dermatoglyphics. The study of fingerprints has become more common, therefore, some parents began to analyze their child's (or baby's) prints; with the intention to identify their potential early, and provide guidance accordingly to help expand their potential. Medically it has been verified that the development of the brain, its lobes and fingerprints is done during the 7th and 21st week of pregnancy. Therefore there is a direct co-relation between the development of the brain and fingerprint. During the development the information is transcribed as our finger prints; that are unique for everyone. With the Science of Dermatoglyphics one understands his or her hidden potential and talents. This is a science which studies the patterns of skins (dermal) ridges present on the fingers, toes and the soles of human. It reveals the congenital links between our fingers and our intrinsic qualities and talents. By analyzing dermatoglyphics, we can accurately understand the distribution and amount of cells in the left and right brain of the cell, and predict where the potential lies. Although everyone is bored with strengths and weaknesses; if they are identified early, we may further develop the strengths and improve our weakness, so that the left and right brain may grow in a more balanced and blend way. What are the benefits of MIT Test?